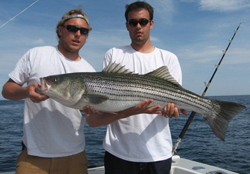 Striped Bass fishing charters in Massachusetts. Charter fishing for Striped Bass along the shores of Cape Cod. Striper fishing in MA is world class. Fish as big as 73 pounds have been caught in our waters. 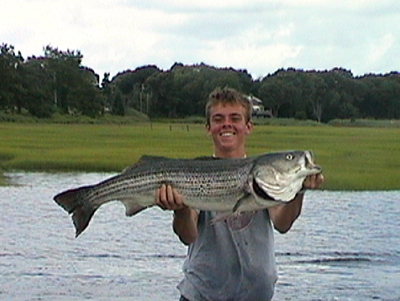 From mid May to late September you can go striped bass fishing for 1/2 day or for a full day. We can also combine Bass fishing with other types of fishing like Tuna and Shark. 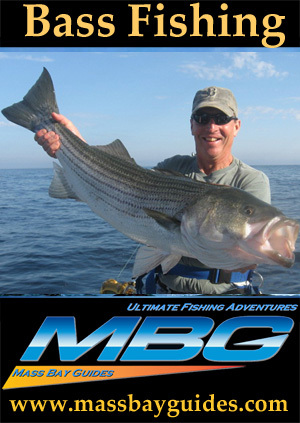 MBG captains hold a Governors Cup for Striped Bass and another for Bluefish. We fish for striped bass many different ways from deep water jigging to live bait and lures on the surface. 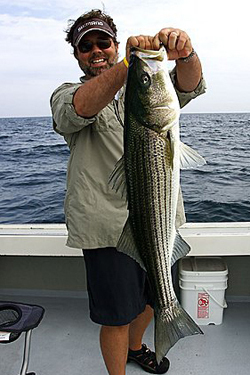 Striped bass fishing from May to July is the best time for your chance at a limit of trophy fish. The bass fishing during the Fall migration is also going to bring you some great fishing and some of our biggest fish have been caught in late September when they are all fattened up from a summer of feeding here in Mass Bay. Fishing for striped bass on the shoals of Cape Cod is like no other place in the world. 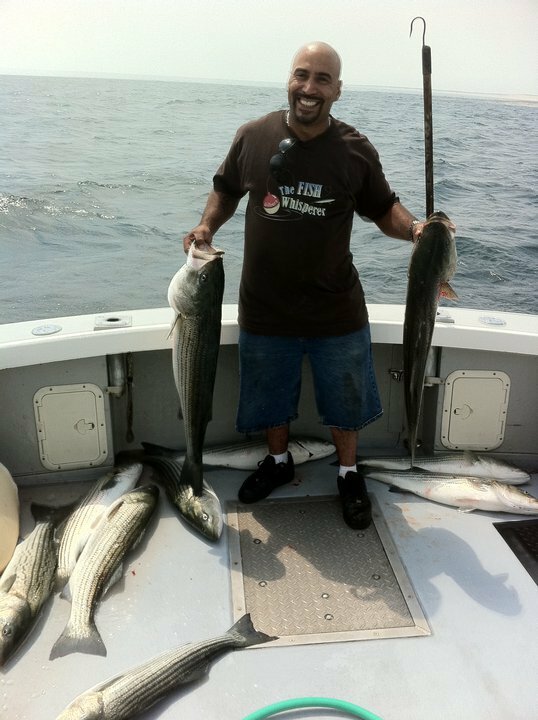 June fishing for stripers in the waters surrounding Mass Bay producing limit catches every day, with fish averaging 20 to 40 pounds. The Bluefish fishing from early July to October is incredible and they are ferocious fighters with sharp teeth. 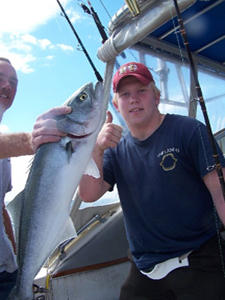 Bluefish and Striper fishing is one of our most popular company or family outings. We have been fishing for these fish for over 30 years starting off in the 1970's commercial fishing for Bass. We have also won many sportfishing tournaments throughout the years. 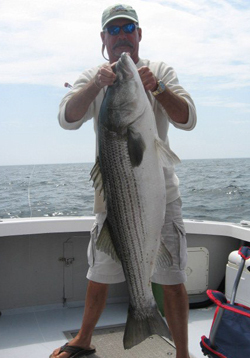 Come catch stripers and bluefish with us for a fishing trip of a lifetime . Multiple boats available for tournaments or Company Parties.